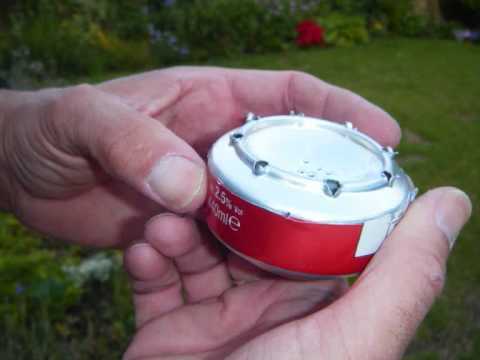 Beer Can Stove - Beer cans Art, creative uses, Quick fixes even, Beer can cooking! Here is the beer can stove I made. I can’t say I have used it, but it seems like it should work. There are a ton of creative people who have made some top notch beer can stoves. I have made a couple myself, but I didn’t make these videos. I figured I could spend more time making other pages for your enjoyment than to saturate youtube with yet another video of the stove making process. So here are a couple pretty good videos that will teach you everything you need to know about the stove making process. The first video is a pretty easy strait forward design. The second video however is a little more in depth. 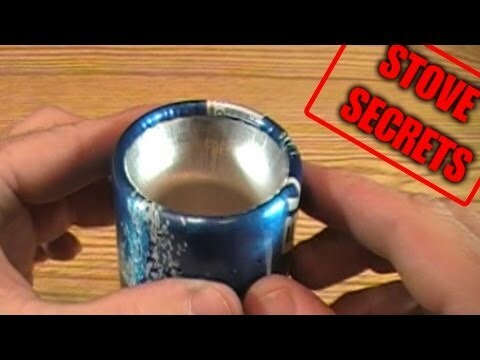 This video also uses an aluminum beer bottle, so its not technically a can. I figured if you wanted the best home made stove option, this video is for you. He gives really good clear instruction, and you can make a high quality stove easily. Similar beer can and bottle stoves sell for quite a bit of money. If you have a free afternoon and a 6 pack, this might be a good project to take on.